Nearly every Ford Mustang—from the very first cars through the Fox platform era and right up to today's models—has its partisans. The only exception? The poor, forgotten Mustang II. But was it really so bad? 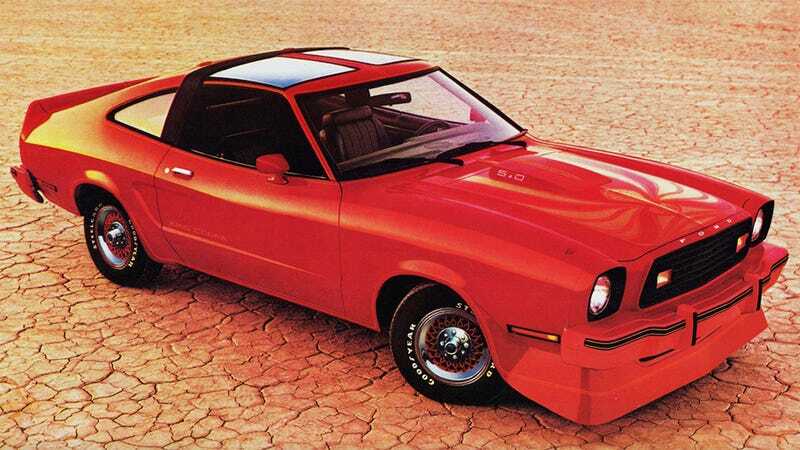 We took a look at the 1978 Ford Mustang II King Cobra in the Jan. 13, 1978, issue of Autoweek, and a contemporary review of the V8-powered range-topper is enlightening. We certainly didn't go easy on the car. "The suspension takes the typical American approach," we said, "trying to achieve better handling by stiffening everything, with the end result that it becomes too harsh. The ride is uncomfortable at both low and high speeds on anything but a very smooth road." Read the full article, fresh from the Crain Communications Brain Trust, at Autoweek.com. And check out the T-top on that Trans Am!